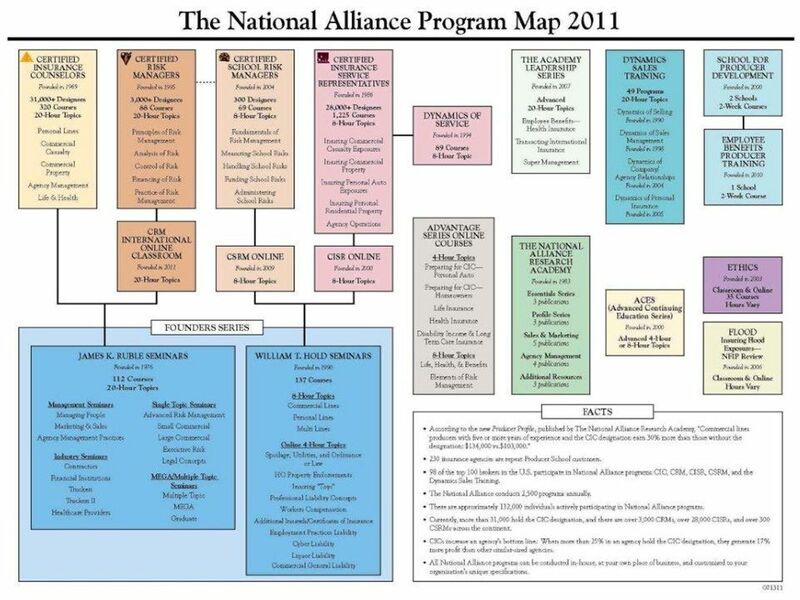 WELCOME… Thank you for choosing The National Alliance. 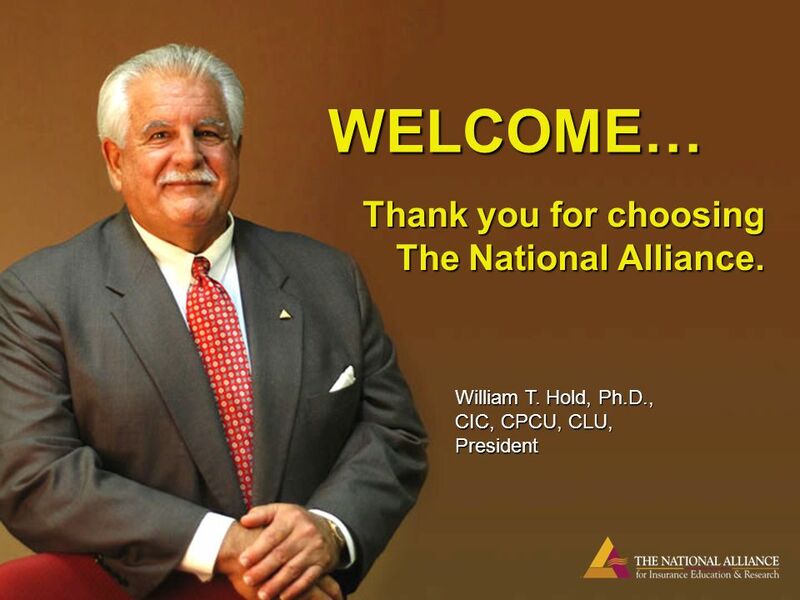 William T. Hold, Ph.D., CIC, CPCU, CLU, President. 3 Lets Get Started… Please take time to enjoy a cup of coffee and a roll. 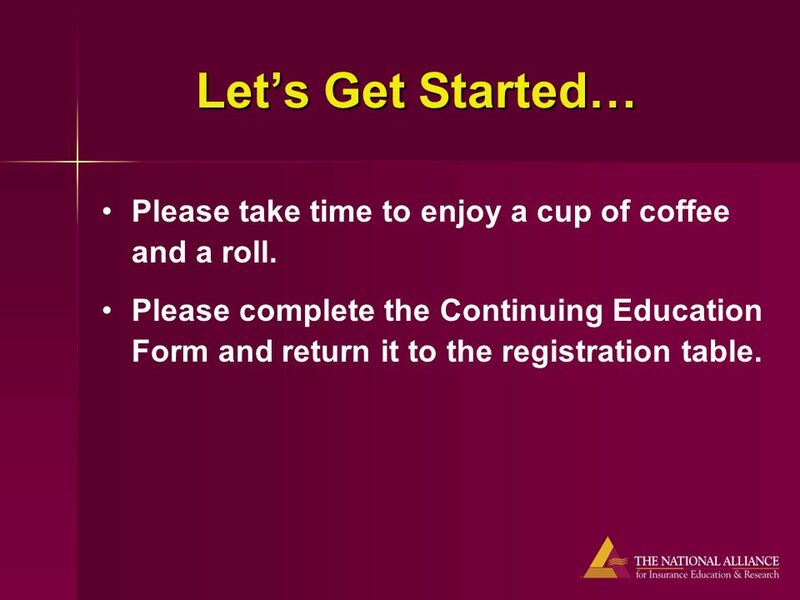 Please complete the Continuing Education Form and return it to the registration table. 4 Please check for messages ONLY during breaks and at lunch time.Please check for messages ONLY during breaks and at lunch time. 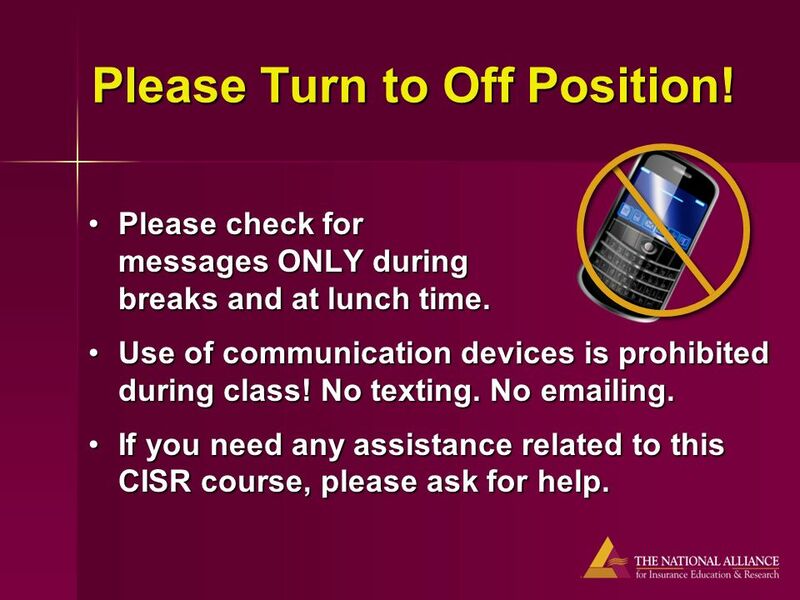 Use of communication devices is prohibited during class! No texting. 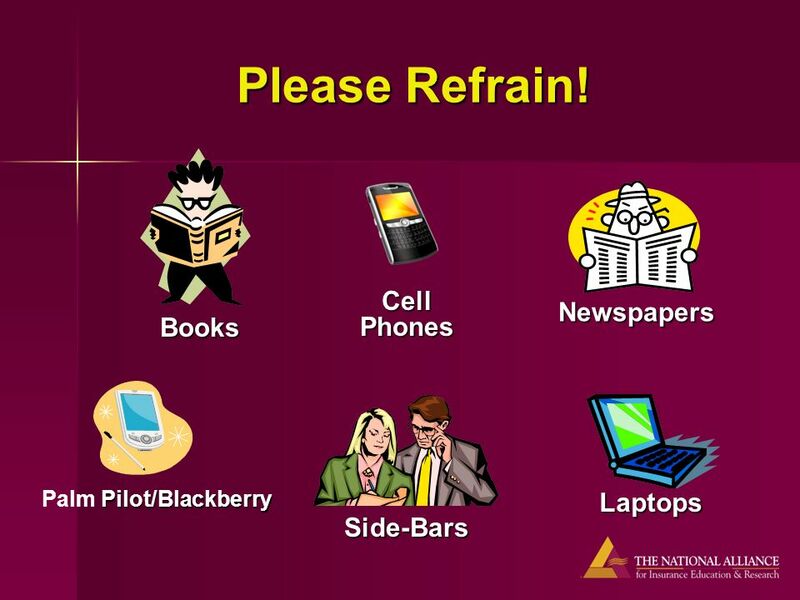 No emailing.Use of communication devices is prohibited during class! No texting. No emailing. 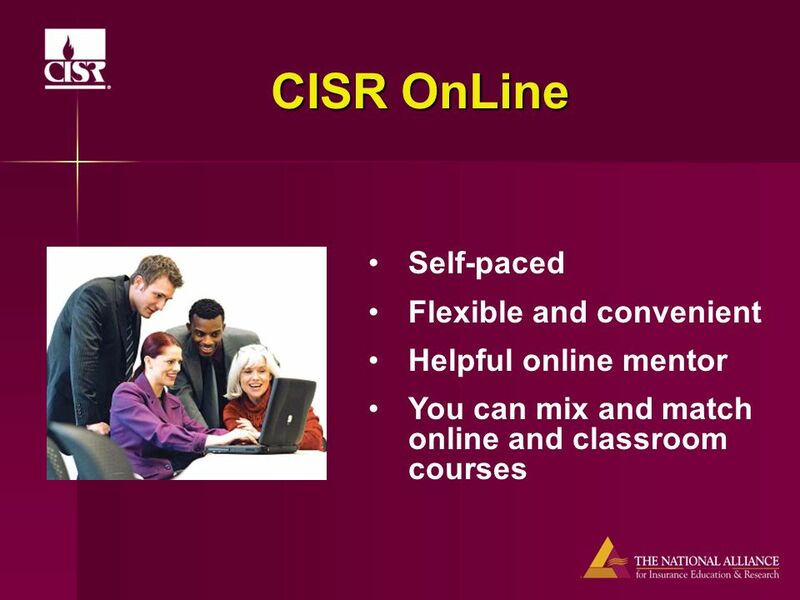 If you need any assistance related to this CISR course, please ask for help.If you need any assistance related to this CISR course, please ask for help. Please Turn to Off Position! 7 Where is your career going? 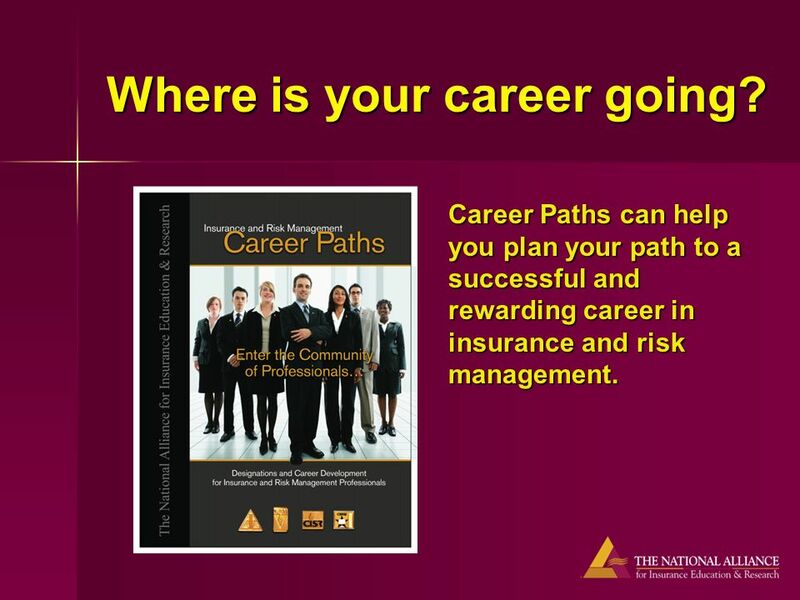 Career Paths can help you plan your path to a successful and rewarding career in insurance and risk management. 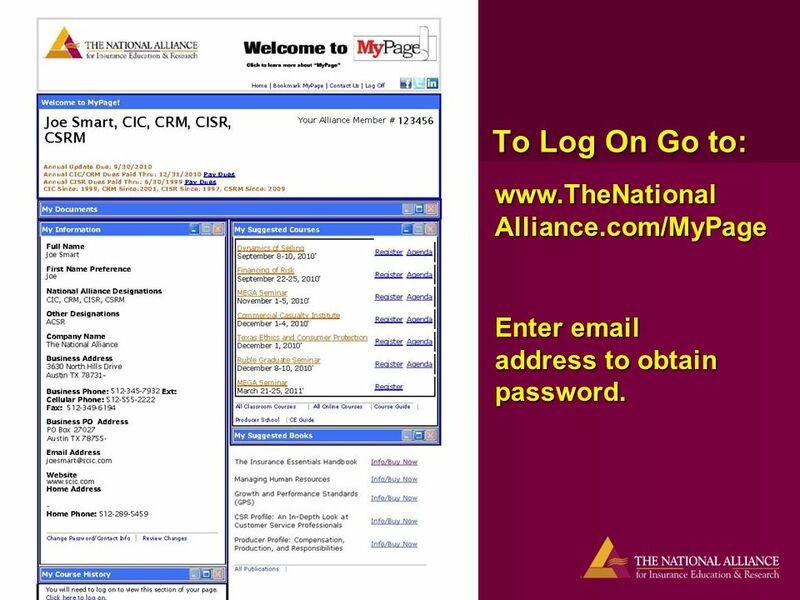 14 To Log On Go to: www.TheNationalAlliance.com/MyPage Enter email address to obtain password. 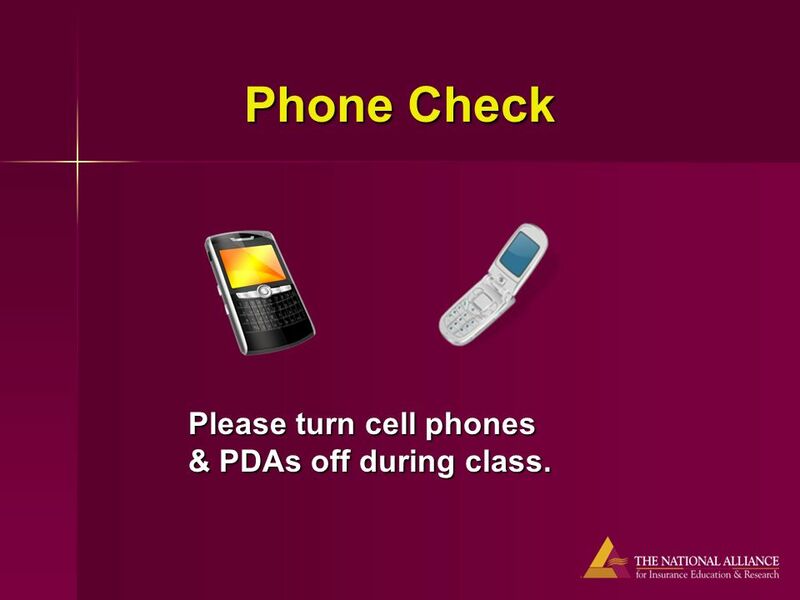 15 Phone Check Please turn cell phones & PDAs off during class. 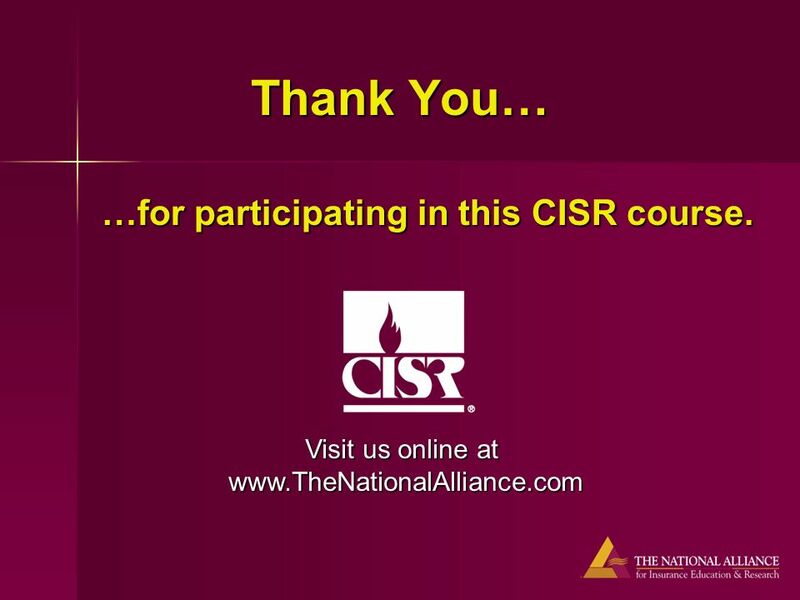 Download ppt "WELCOME… Thank you for choosing The National Alliance. 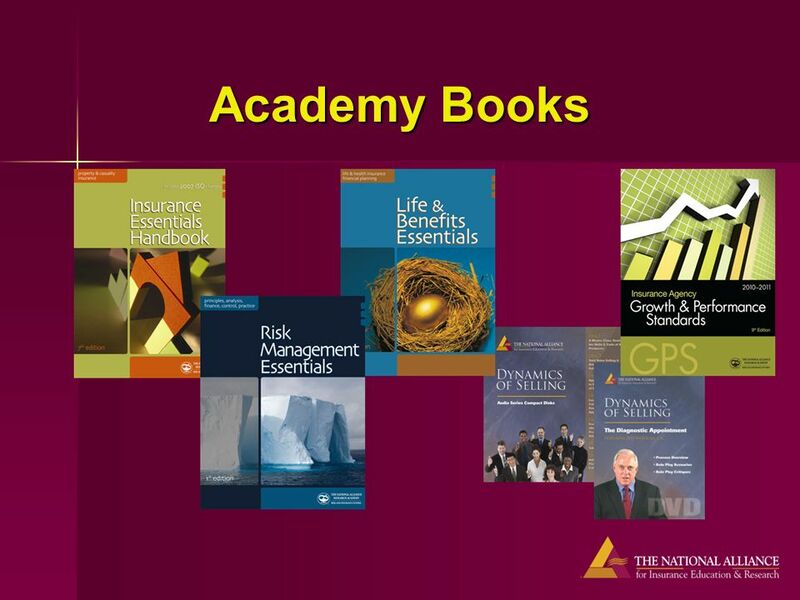 William T. Hold, Ph.D., CIC, CPCU, CLU, President." 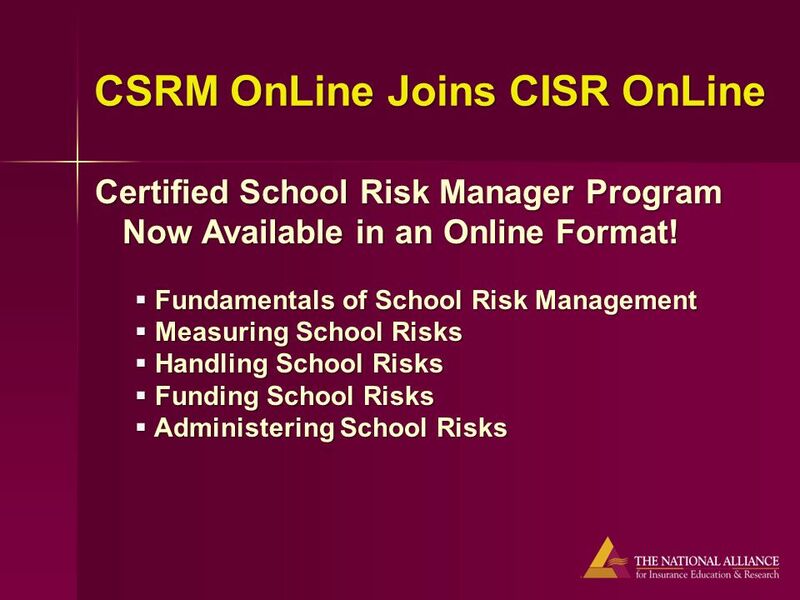 Spring 2014 New features School Gateway & Online Reporting. Cell Phone Use While Driving Why it is a crash risk. 1. 2 Type your ID # and press the ENTER key to continue YOU MUST LOG IN FOR PROPER CREDIT. SUBSTITUTE TRAINING SCHOOL YEAR Mendham Township School District. 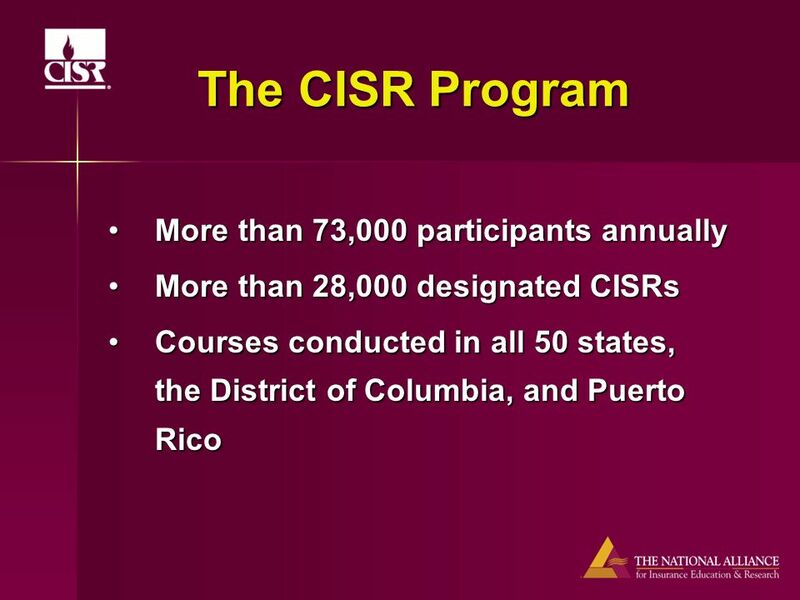 Program of Accelerated Education For At Risk Students PACE. 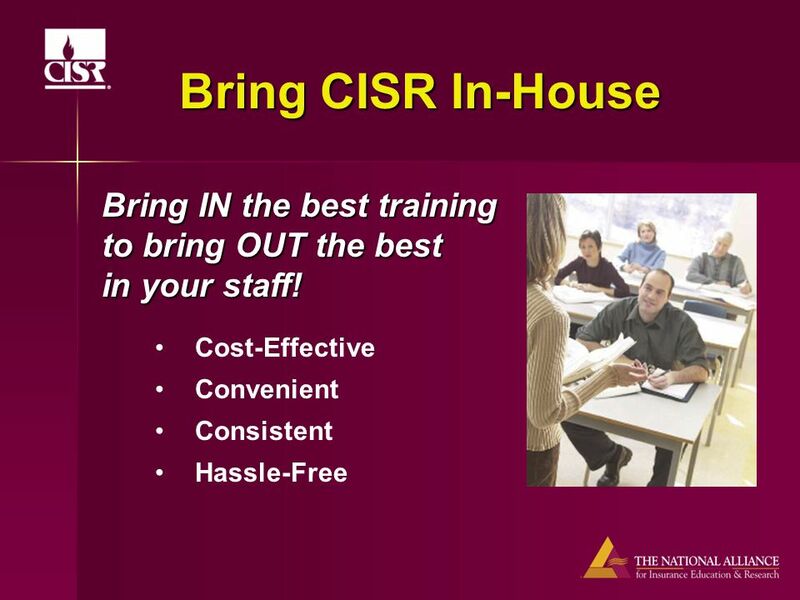 Pace 2 Employment Welcome to PACE.2.Employment Change your life Achieve your dreams. 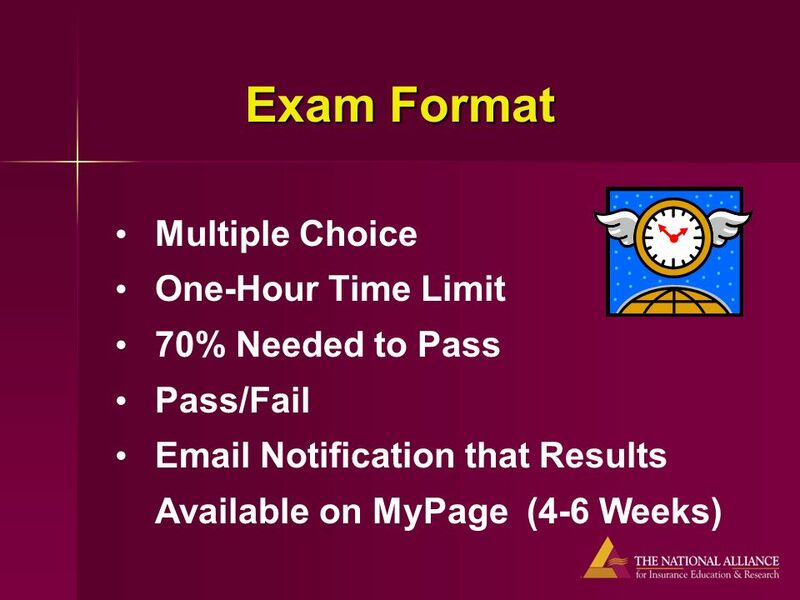 PARCC Testing 2015 INFORMATION NEEDED TO ADMINISTER THE PARCC EXAMS. 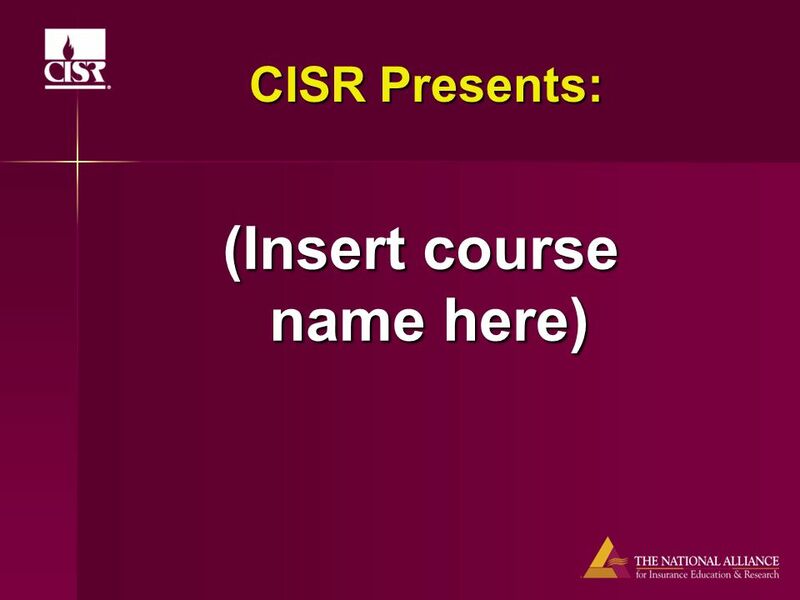 2 Type your ID # and press the ENTER key to continue YOU MUST LOG IN FOR PROPER CREDIT. Welcome to DIMACS. Did you sign in? It is very important to DIMACS to be able to give an accurate report of our participant count to our sponsors. Please. Using Wireless Laptops August Academy August 2, 2007 Kerry George. COURSE NAME : PATIENT ASSESSMENT 111 COURSE CODE: EMS (351) DAY: SUNDAY, MONDAY (Theory) TIME : 1:2 pm / 2:3 pm PRACTICAL DAY: TUESDAY TIME. Isis Secure Room Booking Isis Secure Room Booking is an add on module to the latest version of the Sentry Access Control System. It is primarily intended. You’re using Top Hat this term! Top Hat is a classroom response system that allows users to participate in class polls, quizzes, discussions, and more. Section 3 Opportunities Applicant Registration Instructions.